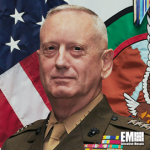 James Mattis, Secretary of Defense, has said he expects to witness a lagging indicator that proves recent operations in Syria will diminish the number of recruits and foreign fighters joining the Islamic State militant group’s ranks, DoD News reported Friday. Mattis answered inquiries at the Pentagon regarding topics involving South Asia, North Korea and Iran during an impromptu discussion with reporters. He said the U.S. remains observant of illicit weapons activities in Iran and the illegal displays of missiles, unmanned aerial vehicles and antitank weapons at the Joint Base Anacostia-Bolling. The report noted Iran repeatedly violated United Nations Security Council Resolution 2231 which tackles sanctions related to the country’s distribution of weapons and ballistic missile program. The defense secretary also said U.S. and South Korea maintain close bonds and diplomatic efforts continue to attempt denuclearizing the Korean Peninsula. He added U.S.-South Korean military exercises will push through after the Winter Olympics in Pyeongchang and the succeeding Paralympic games.